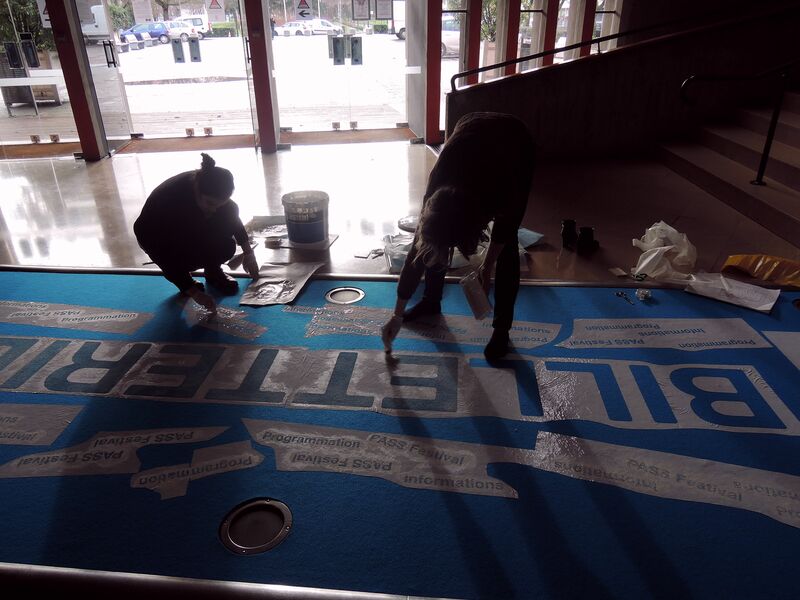 To help finding your way inside of La Comédie we created signs in a huge size on the blue carpet. Unlike as we first assumed, the realisation was ways more complicated. Nonetheless we found a solution. Every single word is painted carefully by hand! Come at la Comédie to watch our result!